Want a unisex style baby bag and finding one is proving to be a struggle? Don’t fret! Dads will no longer grimace at toting a handbag style baby bag when they can be kitted out with one of several man bags (I mean baby bags) on offer from the talented Twelve Little team. 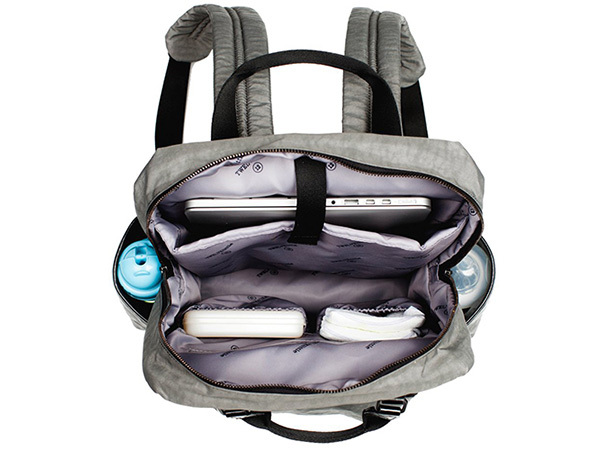 From totes to backpacks, Twelve Little makes finding a unisex baby bag a cinch. The Unisex Courage collection of bags is available in grey, black and olive water resistant nylon with leather trims and details. 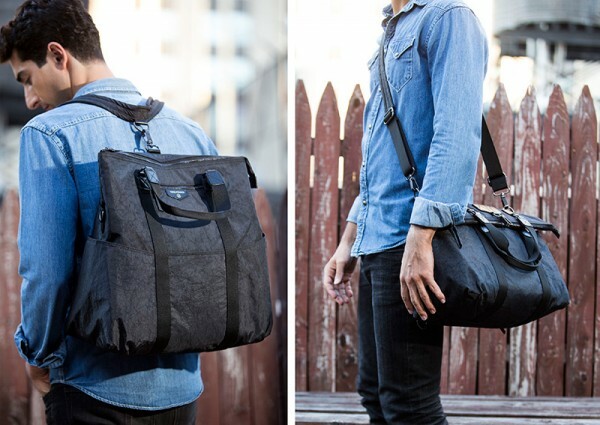 The 3-in-1 Foldover Tote (US$205) morphs from a tote bag to a makeshift backpack with its very clever strap design and the actual Backpack (above, US$210) will hold all the nappies, bottles and spare clothes you can throw at it, plus your laptop. Also included in the Unisex Courage collection are satchel and tote style bags priced from US$115. These classic style bags live on as fantastic weekender bags, excellent for sleepovers with grandparents! To suss out all the details and admire the collection in its entirety, head on over to Twelve Little.